Benton L. Bradberry served as an officer and aviator in the U.S. Navy from 1955 to 1977, from near the beginning of the Cold War to near its end. 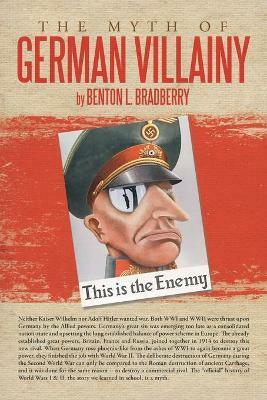 His generation was inundated with anti-German propaganda and "Holocaust" lore. Then, in his role as a naval officer and pilot, he was immersed in anti-Communist propaganda and the war psychosis of the Cold War era. He has had a life-long fascination with the history of this period and has read deeply into all aspects of it. He also saw much of Europe during his Navy years and has travelled widely in Europe since. A natural skeptic, he long ago began to doubt that the "propaganda" told the whole story. He has spent years researching "the other side of the story" and has now written a book about it. The author is a graduate of the Naval Post Graduate School in Monterey, California with a degree in Political Science and International Relations.